Pacific salmon inhabit a vast ecosystem that encompasses the rivers within and the ocean between coastal countries. From steep, cold snowmelt streams to major tributaries, from estuaries to the deep ocean, the range of Pacific salmon includes the Tachia River in Taiwan, the permafrost zone of Chukotka that flows to the Chukchi Sea, the vast expanse of the Pacific Ocean between Japan and California, the streams and rivers of the Yukon Territory and British Columbia, and the myriad waterways in Washington, Oregon, Idaho, and California, as far south as Rio Santo Domingo in Baja California. The North Pacific Rim nations—the United States, Canada, Russia, Japan, China, and the Koreas—enjoy vastly different economic, ecological, and cultural relationships with salmon and, until now, the types of data available to assess the abundance and biodiversity of these fish were almost as varied as the scientists who collect them. 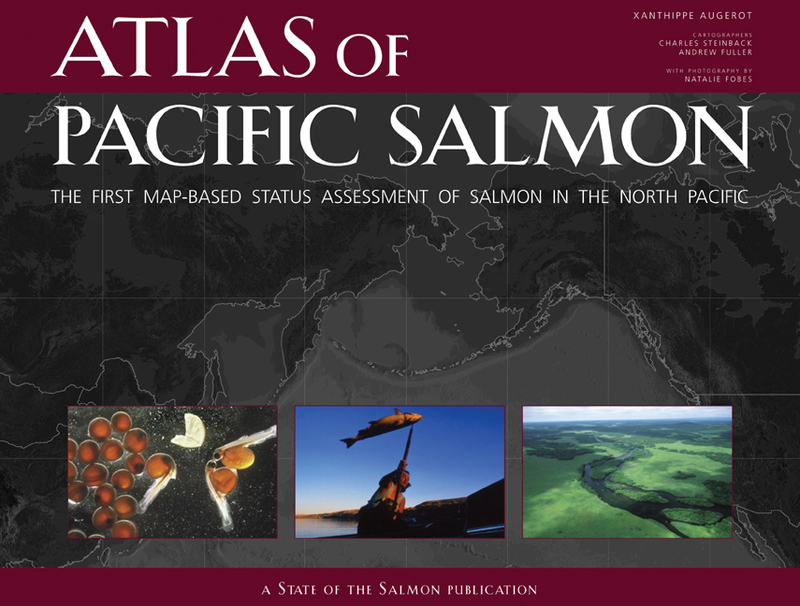 Atlas of Pacific Salmon is the first book to apply a common, newly calibrated yardstick to measure, across this broad ecosystem, the state of Pacific salmon, which have suffered precipitous declines in abundance and diversity in recent decades. 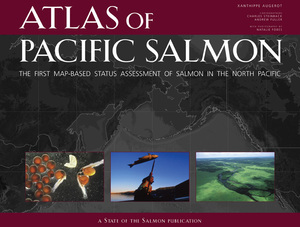 The only map-based assessment of distribution and risk of extinction for seven species of Pacific salmon at one consistent scale, under one authorship, the Atlas is the result of five years' work by Xanthippe Augerot and other foremost experts in the field. Using state-of-the-art GIS mapping tools, this book offers a multidimensional view of Pacific salmon populations from a watershed perspective, through the natural boundaries in which the fish migrate, spawn, and mature. More than three dozen stunning full-page maps overlay the human, climatic, geological, and environmental impacts on salmon populations. Xanthippe Augerot is Co-director of the State of the Salmon Consortium and Director of Science at the Wild Salmon Center in Portland,Oregon.